3932 Mount Diablo Blvd., Lafayette, CA 94549 – across the street from the Lafayette Reservoir and a little further west. 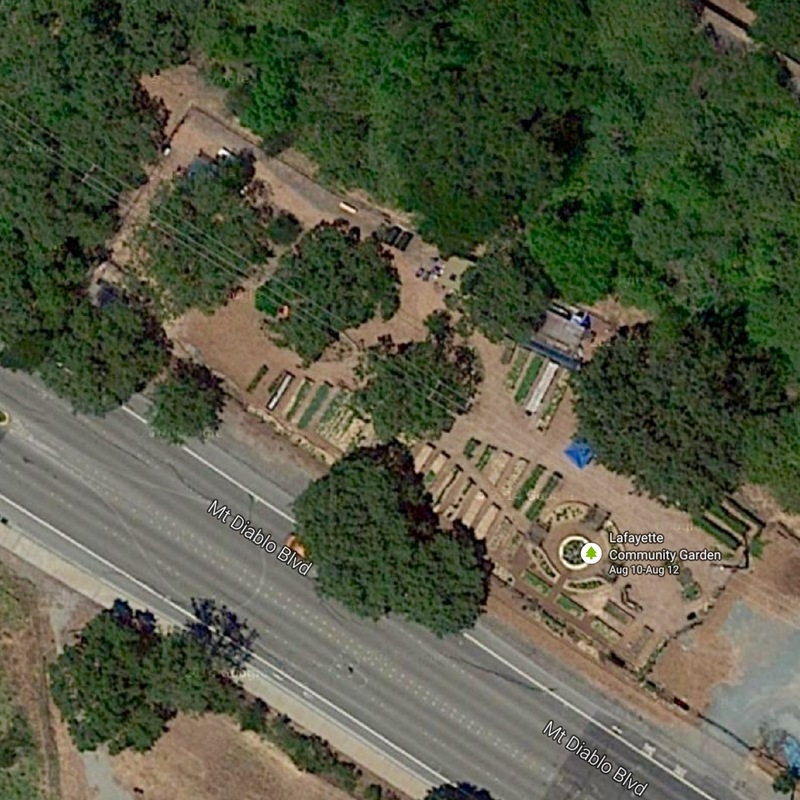 Background on the early days of the Lafayette Community Garden and Outdoor Learning Center. Starting in 2008, a core group of nineteen community members, including educators and master gardeners, started looking for a community garden and outdoor education center. 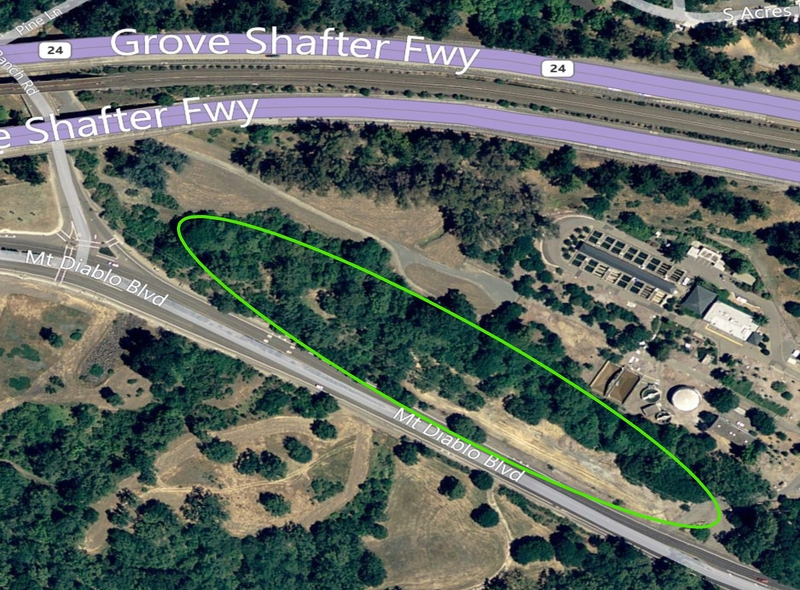 In February of 2011, EBMUD and the City of Lafayette agreed to allow the community to use the multi-acre site in front of the Filter Plant on Mt. Diablo Boulevard. In addition to learning sustainable gardening practices at the site, we would have the opportunity to learn about the local habitat displayed by the beautiful oak, bay laurel and other plants along the adjacent creek. Community support grew as the concept was shared with local seniors, garden clubs, scouts, families and individuals looking for an opportunity to create a model of respectful land use and civic cooperation. On November 30, 2011, The City of Lafayette Planning Commission approved the plans for the Lafayette Community Garden & Learning Center. On December 31, 2011 we reached and surpassed our fundraising goal for 2011. Thanks to all who made this possible. On March 10, our first membership meeting was held at the site and our new garden manager, Leah Ingram was introduced. On March 12, 2012, The City Council approved our permit and agreement with EBMUD. There was an open house at the garden on Earth Day, April 22!